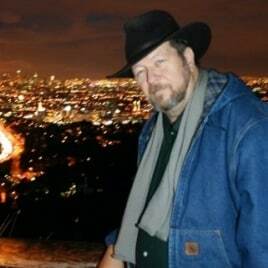 Thomas M. Good was born on January 15, 1952, in Coleman, Texas. He was the second child born to Thomas Don and Wanda Jean Good. Tom graduated high school from the Ozark Academy in Gentry Arkansas. Later, he continued his studies at University of Texas at Arlington where he graduated with honors and received his Bachelor of Arts in Russian. As an adult he lived in various places before buying a home in Cleburne, Texas in 1994. He enjoyed spending time with his mother and daughters, road trips, hunting, fishing, was a great outdoors-man, and loved his Dallas Cowboys. He also had a love and thirst for learning that was never quenched and enjoyed teaching others; either in the classroom or with his daily “history lessons” quoted from memory. He eventually moved to a nursing home in Friendswood, Texas to be near his daughters and grandchildren. Tom passed peacefully from this life on the morning of May 31, 2016, after a gradual decline in health. He was surrounded and supported by his loving family and caregivers during the last days of his life. He will be missed by all who knew him. Tom is survived by two daughters: Rachel Good, Rebecca Clark and her husband, Chris; and two grandchildren: Alden and Annaston Clark. Tom is also survived by his mother, Wanda Jean Good Able; and sisters Kathryn Good and Paula Allen Good. A celebration of life will be held on Sunday, September 4th at 10:00 a.m. Location: Memaw’s Farm, 305 Scenic Oak Lane, Waco, TX 76712. Healgrief has a memorial to share with you. https://healgrief.org/thomas-m-good-4/ We invite you to express condolences, share special memories and photos and light virtual candles to honor and celebrate the life of our loved one. We also invite you to share this with others who may want to be notified as well. You may do so by sharing the link or by clicking the “Share this Memorial” button from within the memorial itself.